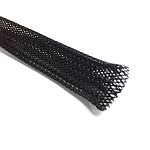 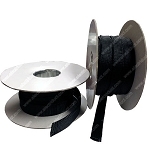 Designed to provide excellent abrasion protection, this nylon textile sleeve is used to prevent wear on hydraulic/oil lines, rubber hoses, pipes and cabling. 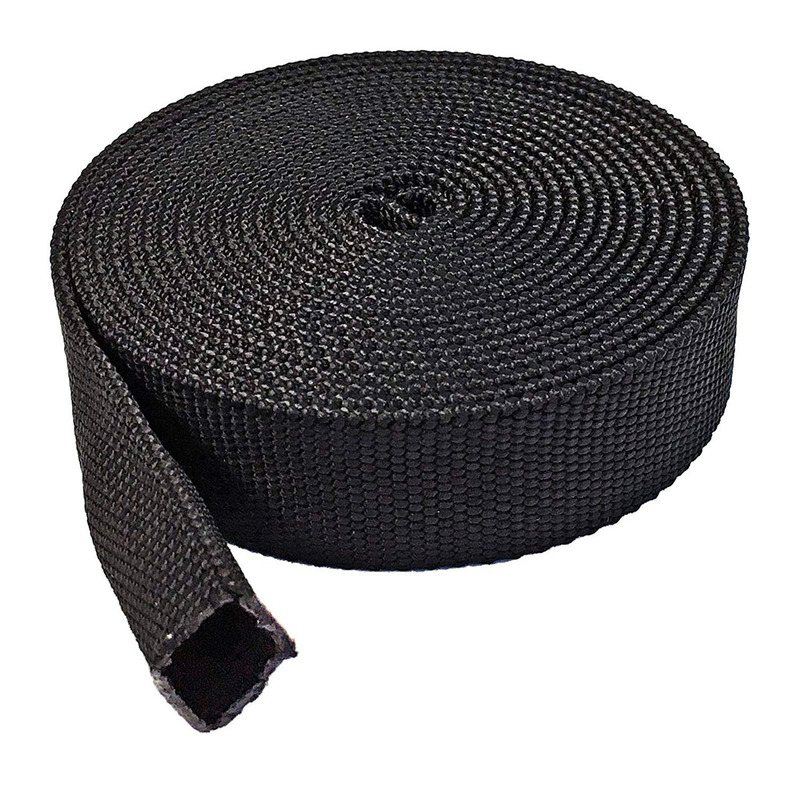 Thick and strong strands with a tight woven construction gives a high degree of burst resistance while still maintaining decent flexibility. 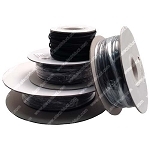 BS-J-DF-050 1/2" 1" 0.59" 0.55" 0.67"
BS-J-DF-075 3/4" 1.38" 0.79" 0.71" 0.87"
BS-J-DF-100 1" 1.69" 0.98" 0.91" 1.06"
BS-J-DF-125 1.25" 2.19" 1.3" 1.22" 1.38"
BS-J-DF-150 1.5" 2.62" 1.57" 1.5" 1.65"
BS-J-DF-200 2" 3.42" 2.09" 2.01" 2.17"
BS-J-DF-250 2.5" 4.23" 2.6" 2.52" 2.68"
BS-J-DF-300 3" 4.97" 3.07" 2.99" 3.15"
BS-J-DF-350 3.5" 5.9 3.66" 3.58" 3.74"
This Nylon Multifilament Hose Sleeve is hands down the best & most rugged I have used and the flexibility is very good for such a strong sleeve.